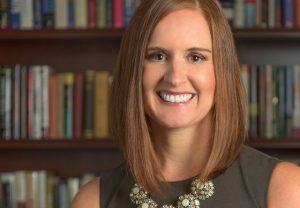 Phoenix, AZ, January 24, 2018 – Versant Capital Management President and Chief Investment Officer Thomas Connelly, CFA®, CFP®, announced today that Liz Shabaker, CFP® – currently the firm’s chief operating officer and a principal – has been named CEO. Shabaker assumed the new role on January 1, the start of Versant’s fiscal year. Versant Capital Management, Inc. is an independent, fee-only Registered Investment Advisory (RIA) and wealth management firm with more than $900 million in assets under management (AUM). Located in Phoenix, Arizona, the firm provides customized wealth management services for high-net-worth individuals and families. During Shabaker’s eight-year tenure, the firm has experienced consistent growth, helping Versant Capital Management become one of the largest RIAs in Arizona. In 2017, Liz was appointed to the national Schwab Advisor Services Advisory Board to participate in meetings and discussions of Schwab’s services for independent advisory firms and their clients. Shabaker’s reach goes beyond the financial arena. She serves as immediate past president of the board of directors and vice president of governance for Free Arts for Abused Children of Arizona, a nonprofit organization that helps to heal abused and homeless children through artistic expression. Shabaker is also a member of the Phoenix Art Museum’s Planned Giving Committee. Originally from Carmel, California, Shabaker has resided in Arizona since 1999. Click here for a full bio.